Gas Systems: Sparging the bottle with a gas (nitrogen or argon) can be very effective but it is expensive and I've never known anyone who actually used a gas system over a long period of time. They just seem to ultimately be more trouble than they are worth. If you do elect to try such a system, stay away from carbon dioxide since it will mix into solution with the wine. Vacu-vin: An item came on the market a few years ago called a Vacu-vin. This consists of rubber bottle stoppers that hold a weak vacuum created by a hand pump that comes with the system. While some people swear by them, there is a consistent complaint that wines treated with a Vacu-vin seem 'stripped' of aromas and flavor. They actually create a lower pressure environment instead of an actual vacuum. This means they don't remove all the oxygen and oxidation of the wine will still occur. Stay away from those little 9 bottle racks that end up on top of the refrigerator; it's hot, close to the light and vibrates from the refrigerator compressor. Generally accepted 'ideal' conditions are 50 to 55 degrees farenheight and 70 percent humidity or higher. The high humidity is important because it keeps the corks from drying and minimizes evaporation. The only problem with even higher levels of humidity is that it brings on growth of mold on the labels or the loosening of labels that have water soluble glue. Temperatures lower than 55 degrees only slow the aging of the wines. There have been wines found in very cold cellars of castles in Scotland that are perfectly sound and are much less developed that those kept at 'normal' cellar temperature. A near constant temperature is preferable to one that fluctuates. With regard to light, most modern bottles have ultraviolet filters built into the glass that help protect the contents from most of the effects of UV rays. 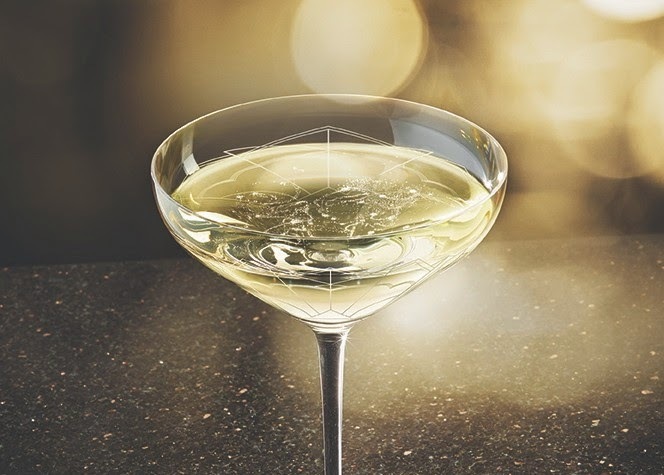 Despite the filters in the glass, long term storage can still allow enough rays in to create a condition in the wine that is referred to as 'light struck'. The result is that the wine picks up the taste and smell of wet cardboard. This is especially noticeable in delicate white wines and sparkling wines. The condition can be created by putting a bottle of champagne near a fluorescent light for a month. If you do not have a suitable wine cellar, there are many types of 'wine refrigerators' that will work as well. They differ from common refrigerators in that they work at higher temperatures (50-65 degree range) and they do not remove humidity from the air. There are kits available that will convert regular refrigerators into suitable wine storage units. Whether or not to bottle age your wine after you have purchased it is a very personal and somewhat complex decision. While most white wines are designed to be enjoyed within two to three years after their vintage date, many robust red wines, particularly Cabernet Sauvignon such as William Hill Winery's Reserve Cabernet Sauvignon and Aura, will continue to evolve and improve with additional aging in proper storage conditions. Under the proper storage conditions, the components of red wines will interact and evolve. During bottle aging, the wine's varietal aromas and flavors, as well as tannins and pigment, interact with oak compounds imparted during fermentation and barrel aging. Tannins and pigment compounds will link together to form longer, smoother polymer chains, softening the tannic impression of the wine. This integration can help to develop increasingly complex flavors and aromas, and deepen the wine's color from purplish to a deep, brick red. Excessive light exposure can cause proteins in wine to become hazy, and can create "off" aromas and flavors. Where should I store wine I don't plan to drink immediately? There are two types of wine you may not plan to drink immediately--wines you have purchased that are ready to drink, and wines designed to be aged. Most wines on the market today are designed to be ready to drink as soon as you purchase them. Therefore, the long-term storage conditions recommended for wines designed to be aged are not necessary. If you do begin to accumulate wines designed to be aged, storage becomes more important. The key conditions to keep constant are temperature (needs to be about 55 degrees) and humidity (70% - 80%). To achieve this at home, you may need to convert a closet or buy a special unit designed. A re-corked, leftover bottle of red or white wine can be stored in the refrigerator for 3 — 5 days without compromising its flavor. Just take the red wine out of the refrigerator to let it come up to room temperature before drinking. 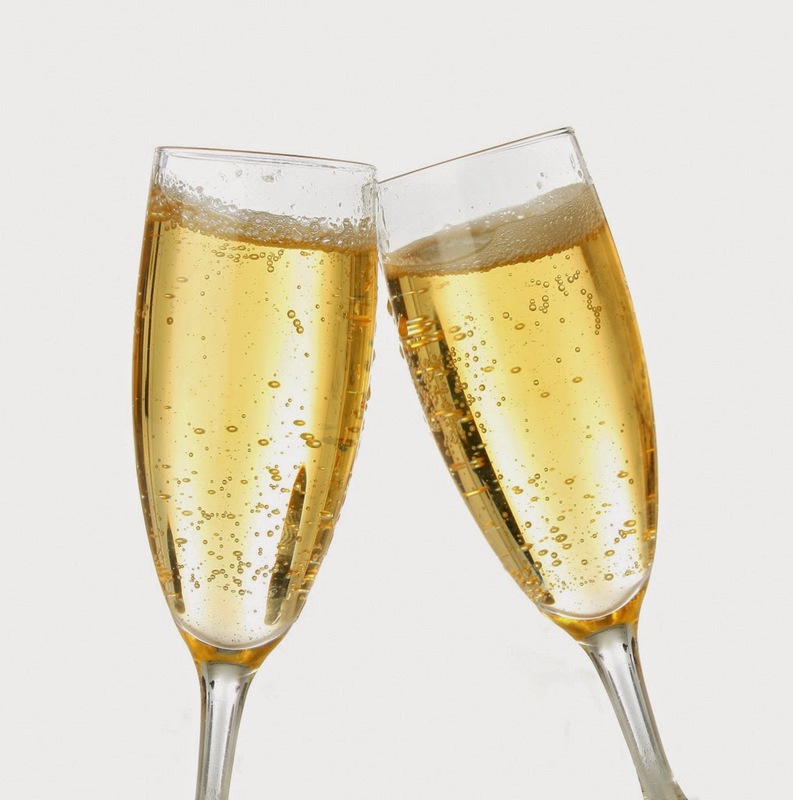 A tightly corked leftover bottle of Champagne/sparkling wine can also be kept fresh in the refrigerator for 3 - 5 days. Most of the enjoyment that comes from drinking wine involves its aroma. Taste only has four aspects - sweet, sour, salty, acid. The nose does the rest. Vapors are created as wine warms up, so the wine needs to be a few degrees below its ideal drinking temperature for this to work. Room Temperature is rarely 'wine drinking temperature' - if you're in the Indian Ocean on a yacht, you hardly want 100° Chardonnay! How about Houston in July? Warmth makes white wines taste dull. Few homes are regulated to match wine-drinking temperatures. So throw out the old "refrigerate all whites, drink all reds at current room temperature" adage. Here is a chart to indicate in general best temperatures for drinking wine at. Remember, though, that you also want to keep in mind the temperature of the room relative to this 'idea temperature'. If your room is 60°F and you are serving a fine Burgundy, perhaps chill the Burgundy to 58°F to allow it a little warming up in the glass. Fridges do well for cooling a wine when necessary, but for warming I prefer to warm it with my hands, glass by glass. What's the big deal about storing a wine at a certain temperature? Simply put, wine is a perishable good. Storing a fine wine at 100° will cause it to lose its flavor, while storing it at 0° will cause as much damage. The trick with wine is to store it at a stable, ideal temperature, and then to serve it at a temperature which best shows off its personal characteristics. If you serve a wine too cool, the flavors will all be hidden. It's like eating a frozen pizza while it's still frozen. If you serve a wine too hot, all you can taste is the alcohol. The Côte de Beaune is the more southerly part of the Côte d'Or. The northernmost tip abuts onto the Côte de Nuits, and the region extends south to the Côte Chalonnaise. The geology is more variable than that of the Côte de Nuits. The region sits on a combination of Callovian, Argovian and Rauracian limestones, with much intervening marlstone. Obviously, the climate is the same as for the Côte de Nuits - continental, with a wide annual temperature difference. Spring rains and frost, and Autumn rains, which may interfere with the harvest, can also be a problem here. The vineyards face south-east on the slope between the plain to the south-east, and the hills to the north-west, the easterly aspect aiding exposure to the sun. Pommard can make wonderful red Burgundy, well structured and meaty, whereas Volnay is better known for it's heady, perfumed and delicately textured wines. Towards the southern end of the Côte de Beaune, however, are the Côte d'Or's most famous white wine villages. Meursault produces rich, complex, intense yet elegant wines, but it is Puligny-Montrachet and Chassagne-Montrachet that lead the pack. The former bears a wonderful combination of richness with mineral complexities, the latter are sometimes broader and more open, although both are lovely, and words cannot really do them justice. Nearby are the villages of St-Romain, St-Aubin, Santenay and Auxey-Duresses. All are responsible for some value Burgundy. Sub-Village Appellations: These include Côte de Beaune Villages (may be applied to declassified wine from fourteen villages of the Côte de Beaune not including Aloxe-Corton, Beaune, Volnay or Pommard), Bourgogne Hautes Côtes de Nuits (applies to a large number of communes to the west of the Côte d'Or), and basic Bourgogne. There is also the confusing appellation Côte de Beaune, which refers to wines from the commune of Beaune not deemed worthy of the appellation Beaune. The Côte d'Or - My top wines. As many producers have vineyards in so many different sites, I have grouped together the good names in Burgundy here. This is a personal list (in alphabetical order), so it doesn't include great but hardly affordable domaines such as Romanée-Conti. My list of top estates and producers includes Domaine d'Arlot, Simon Bize, Robert Chevillon, Bruno Clair, Michel Colin-Deléger, Drouhin, René Engel, Faiveley, Jacques Gagnard-Delagrange, Jean-Marc Blain-Gagnard, Richard Fontaine-Gagnard, Jean Grivot, Hudelot-Noëllat, Jadot, Jaffelin, Henri Jayer, Leroy, Méo-Camuzet, Albert Morot, Daniel Rion, Domaine des Perdrix, and Etienne Sauzet. The Côte d'Or is divided into two main viticultural regions, the Côte de Nuits being the more northerly of the two. The northernmost tip lies just south of Dijon, and the region extends down to the Côte de Beaune, onto which it abuts. Named after the town of Nuits-St-Georges, it is most widely reknowned for it's red wines, although there are a few worthy white wines made here also. Geologically, the region sits on a combination of Bajocian, Bathonian, Callovian and Argovian limestones, with some Liassic marlstone. The climate is continental, with a wide annual temperature difference. Spring rains and frost can be a problem, as can Autumn rain, which may interfere with the harvest. This is true for the whole Côte d'Or. The vineyards lie on the slope between the plain to the east, and the hills to the west. Soils on the plain, to the east of the N74 (not illustrated), are too fertile for quality wine, and on the hills it is too sparse. The easterly aspect also aids exposure to the sun. The most northerly village of note is Marsannay, an up and coming wine region for the production of value Burgundy. Next is Fixin, a village which can produce some good value wines, although they never achieve greatness. Further south come the villages of the Côte de Nuits that produce some of the great wines of Burgundy. Firstly, Gevrey-Chambertin, which impresses with the combination of its muscular, weighty attitude and paradoxical perfumed edge. Morey-St-Denis is a meaty, intense wine which can be superb, but like many of these famous names overcropping and poor vinification techniques can result in some very weak wines. Chambolle-Musigny may be marked by a wonderful, floral, fragrant bouquet, whereas at Vougeot we have an unusual situation. Much of the wine is classified as Grand Cru as it lies within the walled vineyard of the Clos de Vougeot, but only a small part of this wine is truly of Grand Cru quality. At best it can be a tasty, full-bodied, richly fruited wine, although it is not one of the great Grands Crus. Flagey-Echézeaux is unusual as it lies to the east of all the other vineyards. The wines can be quite fine. Next is Vosne-Romaneé, a fine set of vineyards which can produce some superb wines. Vosne-Romaneé can have a rich, creamy, sensuous texture, even in the village wines from a good producer. Other than Nuits-St-Georges, there are no other villages of huge significance. Gevrey-Chambertin: Chambertin, Chambertin Clos de Bèze, Charmes-Chambertin, Chapelle-Chambertin, Griotte- Chambertin, Latricières-Chambertin, Mazis-Chambertin, Ruchottes-Chambertin. Morey-St-Denis: Bonnes Mares, Clos Saint-Denis, Clos de Tart, Clos de la Roche, Clos des Lambrays. Vosne-Romanée: La Romanée, La Tâche, Richebourg, Romanée-Conti, Romanée-St-Vivant, La Grande Rue. The Grand Cru Bonnes Mares straddles the villages of Morey-St-Denis and Chambole-Musigny. Nuits-St-Georges has no Grands Crus. Premiers Crus: These are too numerous to name here. As with Chablis, a wine blended from several such sites will be labelled as Premier Cru, whereas a wine from an individual vineyard will bear the vineyard name, eg. Gevrey-Chambertin Premier Cru Clos Saint-Jacques. Village Wines: The villages of the Côte de Nuits are Marsannay (La-Côte), Fixin, Gevrey-Chambertin, Morey-St-Denis, Chambolle Musigny, Vougeot (although anything other than Grand Cru Clos de Vougeot is rare), Vosne-Romanée and Nuits-St-Georges. Village wines from Flagey-Echézeaux are sold under the Vosne-Romanée appellation. Sub-Village Appellations: These include Côte de Nuits Villages (may be applied to wine from Corgoloin, Comblanchien, Prémeaux, Brochon, and declassified wine from Fixin), Bourgogne Hautes Côtes de Nuits (applies to a large number of communes to the west of the Côte d'Or), and basic Bourgogne. The Beaujolais is a French AOC wine, almost all Beaujolais wines are reds of the Gamay grape but like most AOC wines are not labelled varietally. Whites from the region, which make up only 1% of its production, are made with Chardonnay grapes. 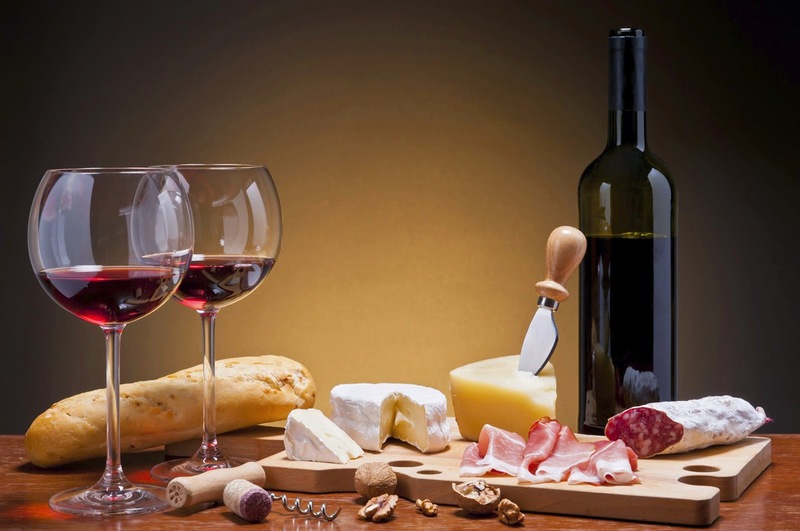 Beaujolais tends to be a very light bodied red wine, with relatively high amounts of acidity which makes it less a casual sipping wine and one more suited to food. Most Beaujolais should be drunk within the first three years of its life. Only the best examples of the ten "crus" listed below - and produced by the best vintners - improve with age for up to ten years. Wines labeled simply "Beaujolais" account for 50% of the production. Beaujolais Villages makes up 25% of the region's production, and comes from better vineyard sites in and around the ten "crus" in the north part of Beaujolais. Wine from these individual crus, which make up the balance, can be more full-bodied, darker in color, and significantly longer lived. Unfortunately for the unknowing wine drinker, these wines do not usually use the word "Beaujolais" on the label, leaving one with little recourse but to memorize the list. The ten crus are: Morgon, Moulin-à-Vent, Brouilly, Côte de Brouilly, Saint-Amour, Chiroubles, Chénas, Fleurie, Juliénas, and most recently, Régnié. By far, the largest production comes from the négoçiant Georges Duboeuf, who makes the well-known "flower labels". Some of the major tourist attractions are the Gothic abbey church of Saint-Seine-l'Abbaye and the Romanesque abbey church at Saulieu, as well the Château de Bussy Rabutin at Bussy-le-Grand. The Abbey of Cîteaux, headquarters of the Cistercian Order, lies to the east of Nuits-Saint-Georges in the south of the département. The département is part of the current région of Bourgogne. It is surrounded by the départements of Yonne, Nièvre, Saône-et-Loire, Jura, Aube, and Haute-Marne. A chain of hills called the Plateau de Langres runs from north-east to south-west through the département to the north of Dijon and continues south-westwards as the Côte d'Or escarpment, after which the département is named. It is the south-east facing slope of the escarpment which is the site of the celebrated Burgundy vineyards. To the west of the Plateau de Langres, towards Champagne, lies the densely wooded district of Châtillonais. To the south-east of the plateau and escarpment, the département lies in the broad, flat-bottomed valley of the middle course of the Saône. * The Seine rises in he southern end of the Plateau de Langres. * The Ouche rises on the dip slope of the escarpment and flows to the Saône via Dijon. * The Armançon rises on the dip slope of the escarpment and flows north-westward. * The Arroux rises on the dip slope of the escarpment at the southern end of the département. The climate of the département is temperate, with abundant rain on the west side of the central range. Beaujolais is a historical province and a wine-producing region in France. It is now part of the Burgundy région for administrative purposes. The region is known internationally for its long tradition of winemaking, and more recently for the enormously popular Beaujolais nouveau. Highest point: Haut-Folin (901m) in the Morvan. The Canal of Burgundy joins the Rivers Yonne and Saône, allowing barges to navigate from the north to south of France. Construction began in 1765 and was completed in 1832. At the summit there is a tunnel 3.333 kilometers long in a straight line. The canal is 242 kilometers long, with a total 209 locks and crosses two counties of Burgundy, the Yonne and Cote d'Or. The canal is now mostly used for riverboat tourism; Dijon, the most important city along the canal, has a harbor for leisure boats. Burgundy (Bourgogne in French) is the name given to certain wines made in the Burgundy region of France. Red Burgundy wines are usually made with the Pinot Noir grape, and white Burgundy wines are usually made with Chardonnay grapes, as dictated by the AOC. Geographically, the wine region starts just south of Dijon and runs southward to just short of the city of Lyon. The area of Chablis stands on its own to the west of Dijon, about as close to Paris as it is to the heart of Burgundy. The main wine regions in Burgundy proper (those that are entitled to the AOC Bourgogne designation) are the Côte de Nuits, Côte de Beaune - which collectively are known as the Côte d'Or - and further south the Côte Chalonnaise. Also viticulturally part of Burgundy are Beaujolais, Chablis, and Mâcon, and they show some similarity. However, a wine from one of these regions would rarely be referred to as a "Burgundy." Burgundy is home to some of the most sought-after wines in the world, and the most expensive, including those of Domaine de la Romanée Conti. Burgundy is in some ways the most terroir-oriented region on the planet; immense attention is paid to the area of origin, and in which of the region's 400 types of soil a wine's grapes are grown. It has a carefully demarcated quality hierarchy: the grand crus are at the top, followed by premier crus, then village, and finally generic Bourgogne. Bourgogne is where grapes other than Chardonnay and Pinot Noir begin to be introduced, allowing pinot blanc and Pinot Gris, two Pinot Noir mutations that were traditionally grown and now are in decline in the area. Other Burgundy AOCs that are not as often seen are Bourgogne Passetoutgrains (which can contain up to two thirds Gamay (the grape of Beaujolais) in addition to Pinot Noir), Bourgogne Aligoté (which is primarily made with the Aligoté grape), and Bourgogne Grand Ordinaire. The latter is the lowest AOC, and Grand definitely refers to the size of the area eligible to produce it, not its quality. There are certain regions that are allowed to put other grapes in miscellaneous AOCs, but for the most part these rules hold. From about the year 900 up to the French Revolution, the vineyards of Burgundy were owned by the Church. After the revolution, the vineyards were broken up and sold to the workers who had tended them. The Napoleonic inheritance laws resulted in the continued subdivision of the most precious vineyard holdings, so that some growers hold only a row or two of vines. This led to the emergence of négociants who aggregate the produce of many growers to produce a single wine. It has also led to a profusion of increasingly small family-owned wineries, exemplified by the dozen plus "Gros" family domaines. Its modern existence is rooted in the dissolution of the Frankish empire. When the dynastic dust had settled in 880s, there were three Burgundies: the kingdom of Upper Burgundy around Lake Geneva, the kingdom of Lower Burgundy in Provence, and the duchy of Burgundy in France. The two kingdoms of Burgundy were reunited in 937 and absorbed into the Holy Roman Empire under Conrad II in 1032, while the duchy of Burgundy was annexed by the French throne in 1004. During the Middle Ages, Burgundy was the seat of some of the most important Western churches and monasteries, among them Cluny, Citeaux, and Vézelay. In the late 15th and early 16th centuries, Burgundy provided a power base for the rise of the Habsburgs, after Maximilian of Austria had married into the ducal family. In 1477 the last duke Charles the Bold was killed in battle and Burgundy itself taken back by France. His daughter Mary and her husband Maximillian moved the court to Brussels and ruled the remnants of the empire (the Low Countries and Franche-Comté, then still a German fief) from there. English supermodel Kate Moss’s left breast has been immortalised in a Champagne coupe designed by painter Lucian Freud’s daughter. Taking Marie Antoinette as her inspiration, whose left breast was said to have served as the model for the first Champagne coupe in the late-18th century, British artist Jane McAdam Freud crafted the coupe from a mould of Moss’s left breast. The glass has an elongated, slender stem, while the outside of the bowl features an intricate Art Deco-inspired pattern and the base bears the model’s signature. “I was excited to participate in this project – what an honour to be alongside Marie Antoinette, she was a very intriguing and mischievous character,” Moss said. “Champagne is always associated with celebration and happy occasions and I had fun creating this beautiful coupe,” she added. McAdam Freud was commissioned by 34 Restaurant in London’s Mayfair to create the coupe in honour of Moss’s 40th birthday and to mark her 25-year milestone in the fashion business. The second release of the Champagne house’s 1998 vintage will be paired to a “seasonal menu” created by 34’s head chef, Harvey Ayliffe. The coupes will be in use at 34 and sister Caprice Holdings restaurants The Ivy, Daphne’s and Scott’s, all of which are owned by restaurateur Richard Caring. Moss is no stranger to artistic collaborations – she posed for late painter Lucian Freud in 2003 while pregnant with her daughter Lila Grace. Three years later Moss modelled for sculptor Marc Quinn on Sphinx, a life-sized sculpture of Moss in a yoga position with her hands and feet behind her head. This is also not the first reinterpretation of the Marie Antoinette coupe. In 2008 Chanel’s creative director Karl Lagerfeld collaborated with Dom Pérignon on a Champagne coupe inspired by his muse, Claudia Schiffer’s bosom. Sold with bottles of 1995 Oenothèque, the coupes cost £2,123.